As Rockcliffe University Consortium celebrates its 10th year, we reflect on a lot of changes in virtual immersive environments and education. Not the least of which has been with Rockcliffe itself. It has always been the intention to develop a unique presence supporting a blended approach to service, education, and research in virtual environments. Starting its second decade, Rockcliffe is entering the next phase of its evolution. 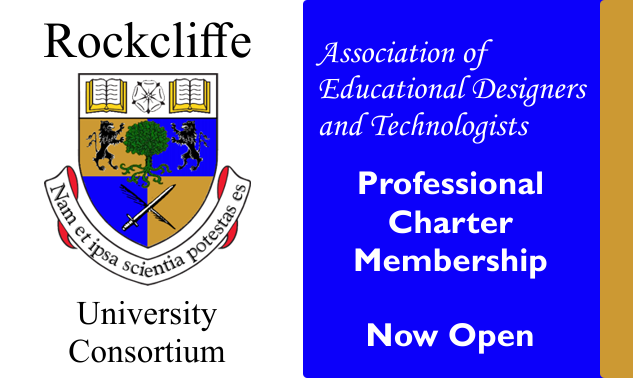 Beginning May 29, 2017, Rockcliffe will open its doors to formal membership, in conjunction with the first annual Erudition Conference taking place October 13-14 in Sacramento, California. Register today at the special introductory price of $125/yr (that is less than 35¢ per day). The first 500 charter members will get this rate locked in for their first two years. Rockcliffe has been completely volunteer supported. We do not receive funding from any government, non-profit, or other organizations. As a result our growth has been much slower than other organizations. We have however been consistent, relentless, and tireless in our dedication to providing a service that is unique and relevant to those interested in instructional design using virtual technologies. Over the past year, we have updated our infrastructure to make this next big leap forward. Not everything is polished just yet and we still have much more work to do. However, we would appreciate your help in continuing to develop the Rockcliffe concept and evaluating our progress. More information on these projects will be available on our websites and at the Erudition Conference.